It is ought to be a really confusing time being Anthony Martial, with not getting frequent amount of games at United but also not being allowed to go away from the club by the manager after being considered important. The young French winger arrived at Old Trafford after being signed by Van Gaal in 2015, and made a glittering start to his English football days, but has been out of favour under new coach Mourinho and has to settle for a spot on the bench due to competition with the likes of Lingard and Rashford. The player has had loan offers from Sevilla, but according to The Express, they have been rejected as Mourinho does not want to sell any more players after releasing Schneiderlin and Depay during the window. The winger has been struggling for game time, and was excluded from the squad during United’s 1-1 draw against Stoke City during the weekend, hinting towards a possible start against Hull in the EFL cup tie to be held midweek. Martial boasts similar properties to Rashford, Lingard, and Mkhitaryan, including those of speed, goals and dribbling past players. However, it can be taken into consideration that he is still relatively young, and has enough time on his hands to become a great attacker for the Red Devils in his future playing days. 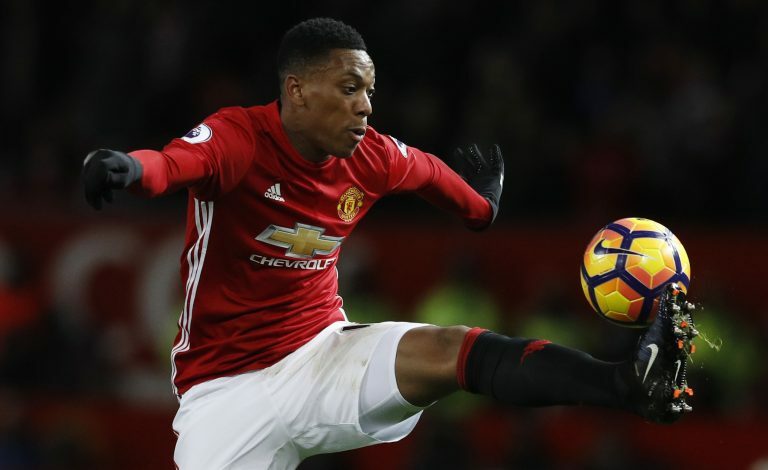 Labelled as the next Thierry Henry in France, Martial will have to be patient and battle it out to prove his worth to the manager, and capitalise on chances, however few and far they may be. He has 13 goals to his name so far, and will be itching to get out there and add many more to that number.